Mom's perusing baby nurseries on Pinterest know as well as I do that cloth diapers have not quite made it back to mainstream. 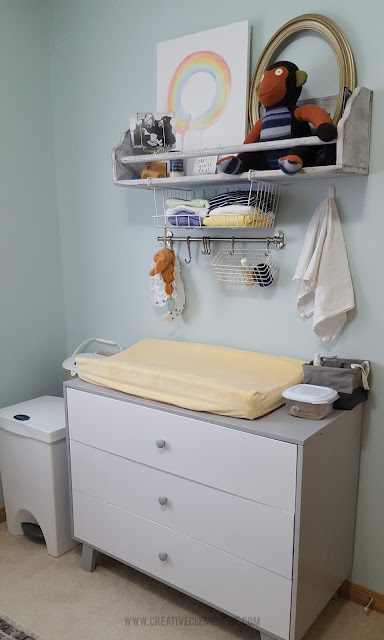 Cutie pie change tables with almost nothing to them seem to dominate inspiration boards everywhere, which makes choosing cloth somewhat of a bummer for the more design-minded moms out there (no pun intended). 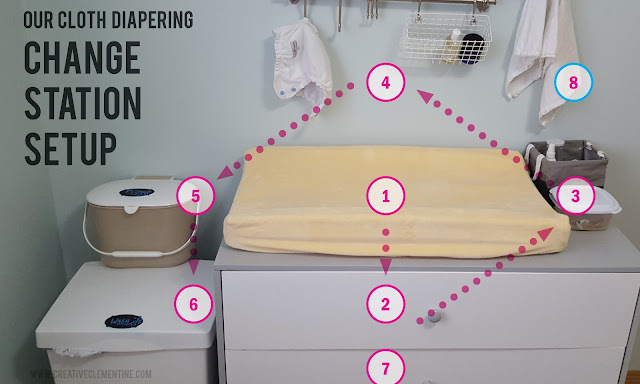 I found a few examples of cloth diapering stations that honestly overwhelmed me at first. So many things I hadn't thought about! What were all these creams? What were all the diaper add-ons? Why couldn't this method still be CUTE? I waited about a month to start cloth diapers with Baby Clemington. 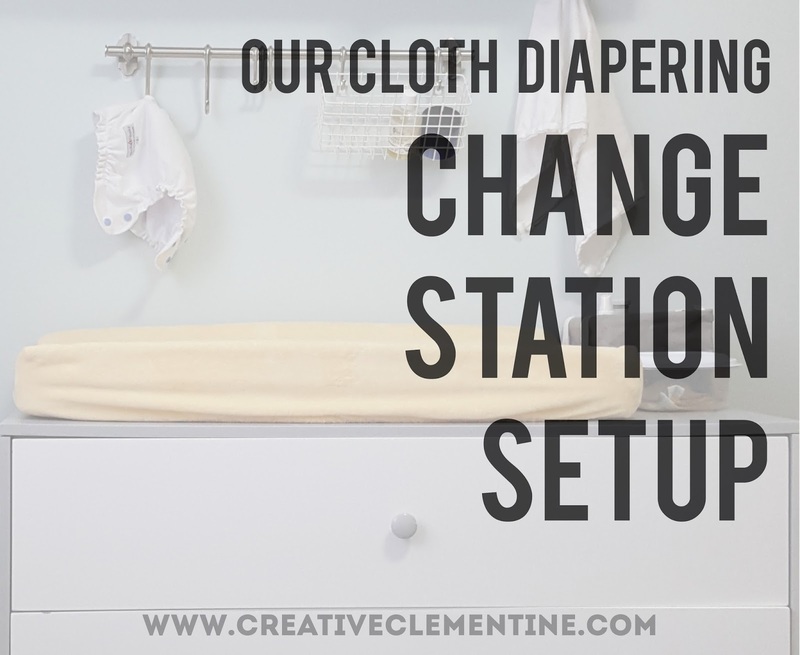 By that point, we had already figured out the basics for what we needed with the disposables we were using, and had done enough research into how cloth diapers worked to know what might end up being a waste of money, and what we could do to make the change station work harder for us. Because let's face it: cloth diapers have a reputation for being more difficult for a reason... and I wanted to counter that as much as possible (read about why we weren't scared off here). As you can see, it is pretty simple and uncluttered. I am not the type to use a bunch of lotions or baby products in my routine, and I've kept the whole area pretty utilitarian. But in a cute way. A way that doesn't bother me when I'm staring at it at during 4am feedings. Change mat: the usual flat surface with comfy mat, for obvious reasons. Hooks for diaper covers: Somewhere to hang still-clean diaper covers in between uses. A place for the "flushables": Somewhere to ditch the diaper liners (and disposable wipes, if using). We are using a small compost bin (like this one) for easy rinsing, but a small garbage can would also work. A place for the "washables": diaper pail for all the dirties. I repurposed a dual garbage/recycling bin from the hardware store so I didn't need to add a clothes hamper, but we started with a regular step bin (like this one) just for diapers. Optional "Extras": diaper cream of choice, a "just-in-case" towel, and whatever else you want (hand sanitizer, baby powder, baby oil...). I like to keep a bottle of "Bum Spray" handy for stickier poops. 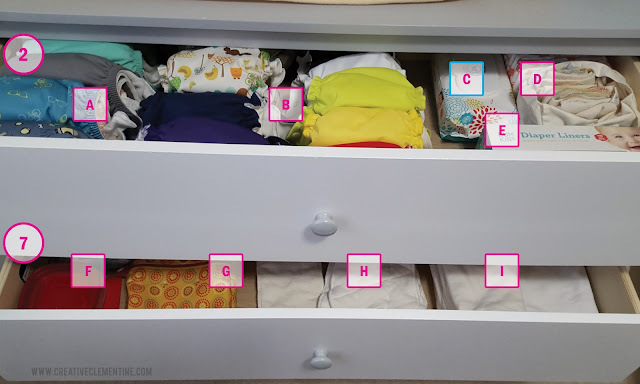 Wondering what is in those drawers? Here is a closer look. E. Flushable diaper liners. The liners pictured are actually my backups. I'll share more about my preferred brands later on! 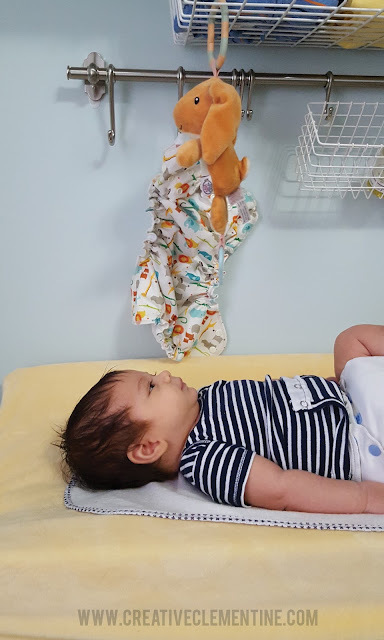 I am in no way calling myself an expert on cloth diapering--- baby is still in the wonderful "non-human-poop" stage and we don't have much experience in the way of (*grossness alert*) solid stinky poops quite yet. But the way we have the change station set up is pretty adaptable, and so far has made choosing cloth a breeze. 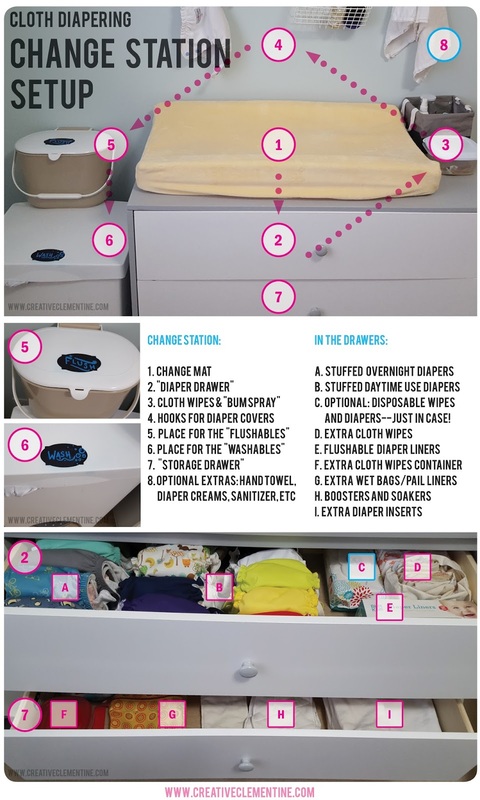 What are your secret weapons for a functional cloth diaper change station? I'd love to hear all about it in the comments! This is exactly what I've been looking for! 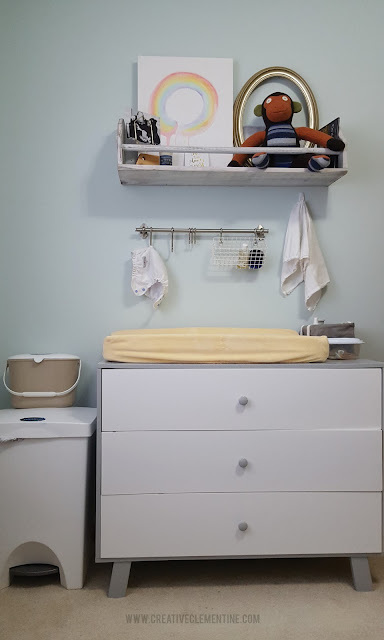 We're expecting our first in 4 weeks and I am setting up a cloth diaper changing station on my bedroom dresser. Thanks for the wonderful inspiration!